Frederick "Ski" Colton Weld was born on June 14, 1891 in Brighton, Illinois. His father, John Weld, was born in 1857 in Massachusetts. His mother, Anna Steele Harris, was born in 1860 in Illinois. His parents married on November 8, 1887. They had two children, Harris Weld (b. 1888), and Frederick Weld (b.1891). The family lived at 1106 Alton Street in Alton, IL. The father worked as a carpenter. In June of 1909 Frederick Weld graduated from Alton High School. 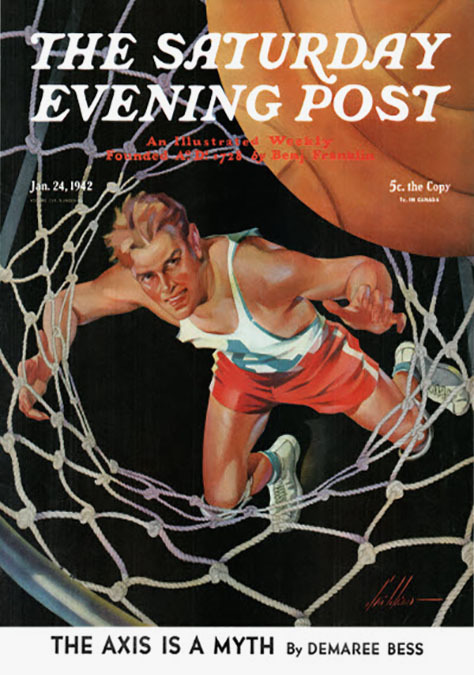 The September he moved to Chicago to study at art school. He supported himself by working as a staff artist at an engraving house. By 1912 his parent's marriage had ended in divorce. The father left Illinois and moved to Charlottesville, Virginia, where he worked as a laborer. The artist's older brother, Harris Weld, worked as a bookkeeper at a glass factory in Alton, IL, where he married and lived at home with his wife, Ruth Weld, and the mother, Anna Steele Harris Weld. By 1917 the artist left Chicago and moved to New York City, where he lived at 855 Riverside Drive on 159th Street in the Washington Heights section of the Upper West Side. 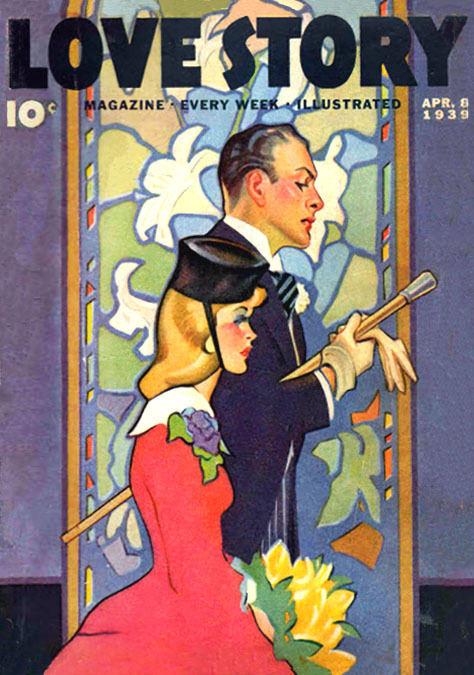 He worked as a staff artist at Fields, Osgood & Company Publishing House, located at 8th Avenue and 3rd Street in NYC. On May 5, 1918, during the Great War, he was inducted into the Army, and served with the 53th Depot Brigade at Camp Hancock in Augusta, Georgia. He was not sent overseas. He directed a program in the art of camouflage. He was honorably discharged at the rank of Sergeant Major on September 15, 1918.
after the war he returned to Alton, IL, and rented an art studio in the renowned Fine Arts Building at 936 North Michigan Avenue in Chicago. 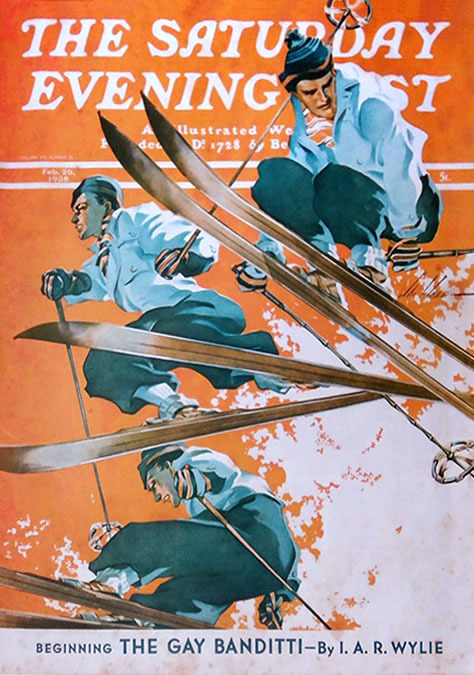 The artist began to use the pen-name "Ski" in reference to his passion for skiing. 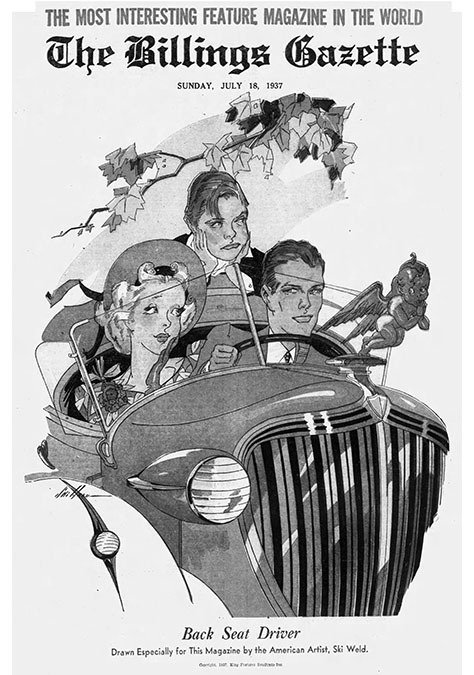 His closest friend in Chicago was the artist John Striebel, a newspaper artist and magazine illustrator. While working in Chicago he met and fell in love with Eleanor Melrose LaRoche, who was studying fashion illustration at the Art Institute of Chicago. She was born on March 10, 1895 in Binghamton, NY, the youngest daughter of Reverend James H. LaRoche, rector of Trinity Memorial Episcopal Church of Binghamton. Frederick Weld and Eleanor LaRoche were married on August 27, 1919. 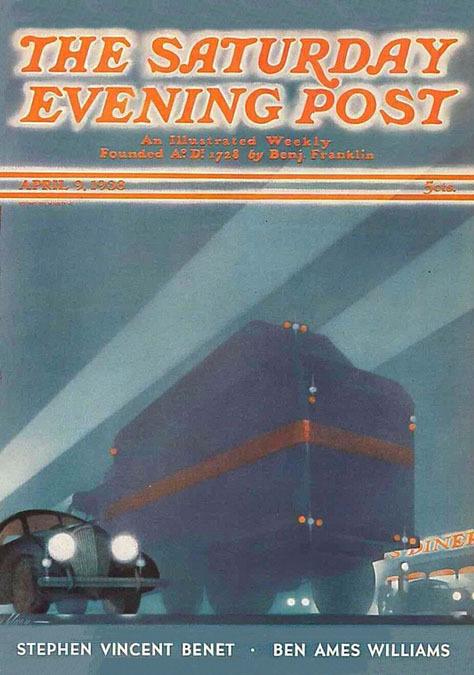 In 1921 the artist and his wife left Illinois and traveled on the Steam Ship Chicago to France, where they both studied at the Ecole Grande Chaumiers in Paris. On November 18, 1921 the artist's daughter, Renee Jacqueline "Jack" Weld, was born in Paris. The Weld family left France on the Steam Ship Rochamblau and arrived in NYC on November 17, 1922. The family lived at 522 Valley Road in Upper Montclair, New Jersey, where the artist's mother-in-law, Letitia LaRoche, lived with the family of the artist's sister-in-law, Mrs. Bennett Hill Fishler. On March 5, 1926 the artist's father, John Weld, died at the age of sixty-eight in Charlottesville, VA. Seven months later, on October 17, 1926 the artist's mother, Anna Steele Harris Weld, died at the age of sixty-five in Alton, IL. By 1928 the artist's marriage had ended in divorce. The artist left Upper Montclair, NJ, and moved back to NYC, where he was listed in a business directory at 320 East 42nd Street. The artist's wife and six-year-old daughter remained in Upper Montclair. 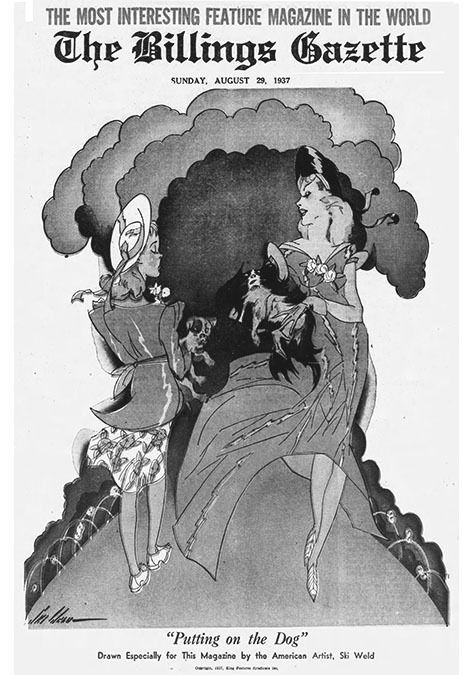 Frederick Weld created stage settings and costume designs for the Roxy Theater and the New York Music Hall. 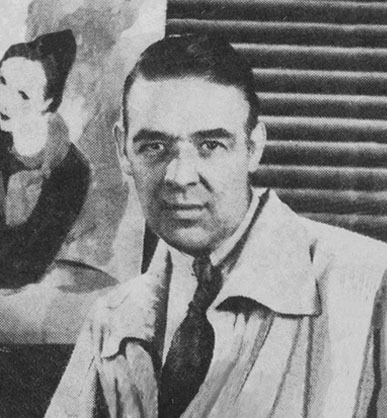 He contributed designs to the Broadway shows "Laugh Parade" (1931), "Of Thee I Sing" (1932), and "Face The Music" (1932). The wife continued to pursue her career as a fashion illustrator, until failing health compelled her to retire from work. After a long period of illness, she became a patient at a tuberculosis sanitarium in Saranac, NY. On July 4, 1934 the artist's wife, Eleanor Melrose (LaRoche) Weld, died at the age of thirty-nine in the sanitarium in Saranac Lake. After her death, the daughter, Renee Jacqueline "Jack" Weld, age eleven, was raised by her grandmother and her Aunt and Uncle, Mr. & Mrs. Bennett Hill Fishler. She attended Mount Hebron School and Montclair High School, from which she graduated in June of 1939. 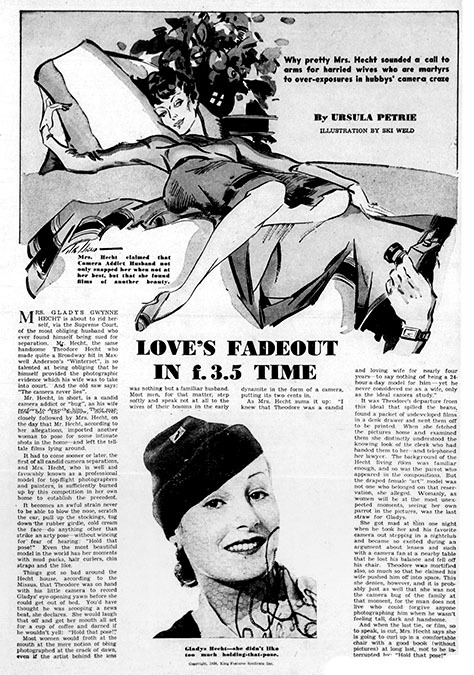 In 1936 Ski Weld became a newspaper artist for the King Feature Syndicate. 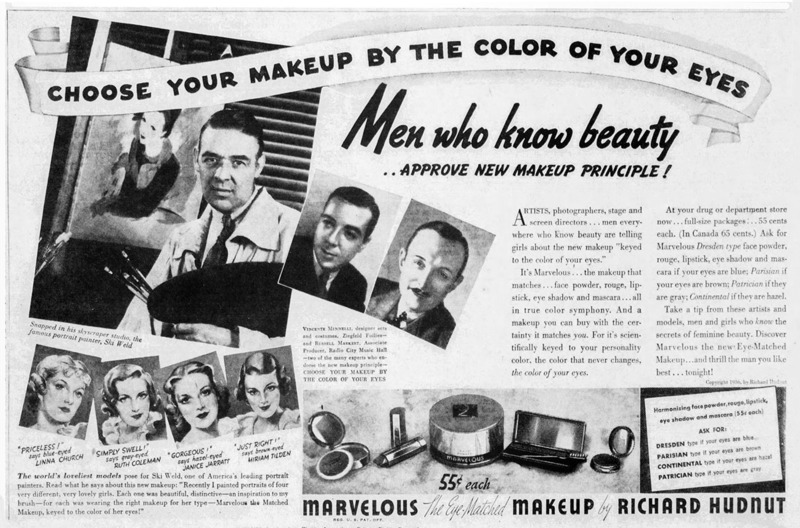 That same year he was featured in a nationwide advertising campaign to endorse Marvelous the Matched Makeup. "The world's loveliest models pose for Ski Weld, one of America's leading portrait painters, who says, "Recently I painted portraits of four very different, very lovely girls. Each one was beautiful, distinctive, an inspiration to my brush, for each was wearing the right makeup for her type, Marvelous the Matched Makeup, keyed to the color of her eyes!" 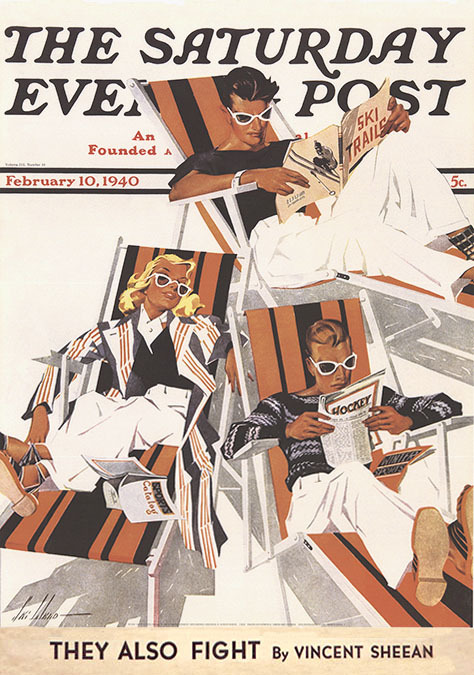 In 1937 he began to paint covers for The Ladies Home Journal, and The Saturday Evening Post, the world's largest-circulation slick magazine. 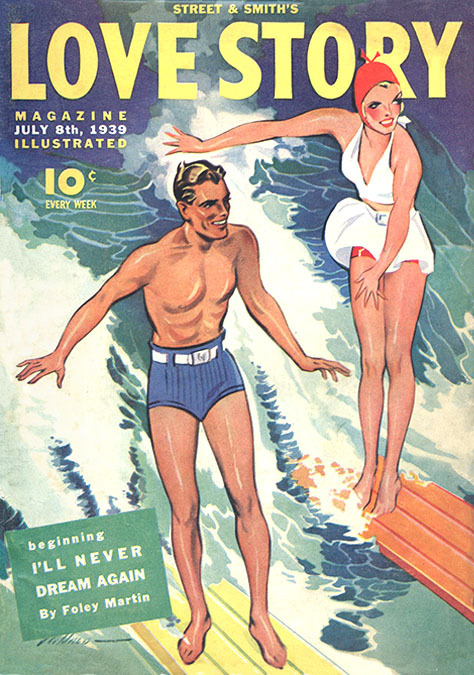 In 1939 he began to paint covers for the pulp magazine, Love Story, from Street & Smith. 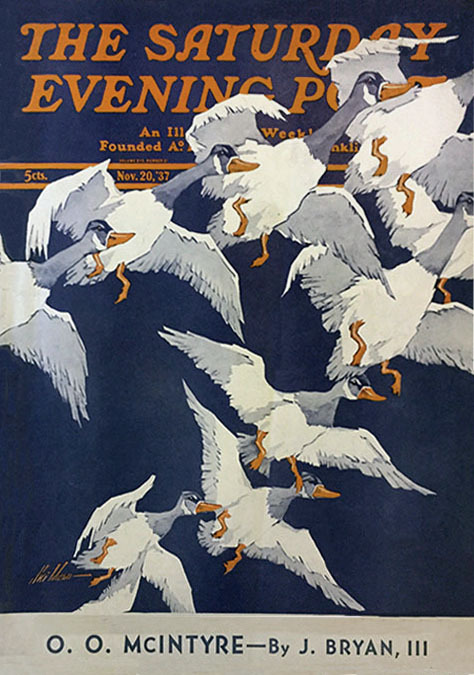 Other artists who worked for this magazine were Modest Stein, Thelma Gooch, J. Clark Work, and Clinton Spooner. In 1940 Frederick Weld lived at 53 West 57th Street. He listed his occupation as "Artist's Model." In 1942 he listed his occupation as "self-employed." 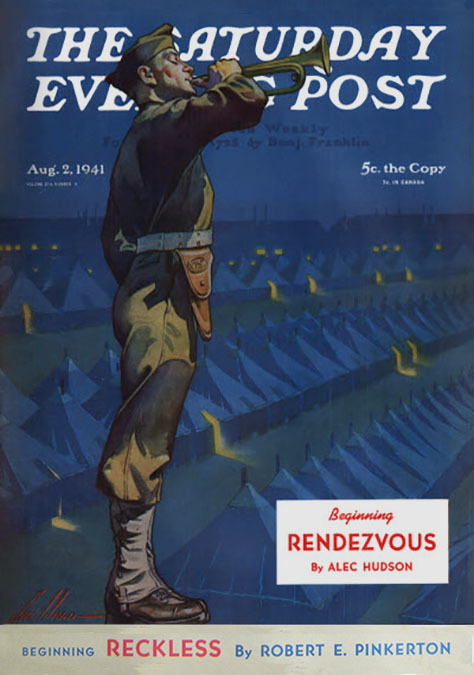 His last published illustration was the cover of the January 24, 1942 issue of The Saturday Evening Post. 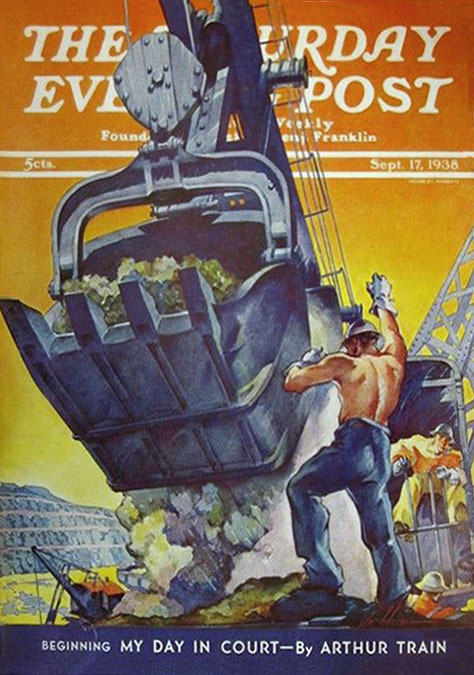 Frederick "Ski" Weld died at the age of fifty-two on May 19, 1944 in New York City.